Walden 3.0 | Makes ya wanna think. Trying to get some bucks by selling the games I had in my reference library when I was developing games. Some are from later. These boxes have all the contents. None of them are in perfect shape. I can take closeups of the boxes and contents for any that might be worth something. I don’t know if the disks work. Boogafoo Music is a Stomp the Genre Records product. Boogafoo was originally published by itsu jitsu. In 1974 while I attended St. Olaf’s Paracollege, my best friend Larry Heyl ran the Moog Studio. He taught me how to plug patch cords and fiddle knobs to wring squawks out of the Moog Modular Synthesizer. I was earning a hand-rolled degree in Creative Studies so I added Torturing the Moog 101 to my curriculum. 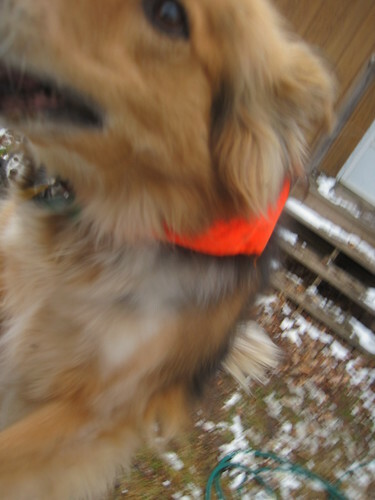 Wherein two horrible dogs perform behavioral experiments on an innocent fellow. To me the Moog was a machine for making weird noises so I pushed it into uncharted territories of sonic strangeness. I didn’t emulate any musician but indulged in pure sonic experimentation. I taped a handful of tracks and called my album “Babie’s[sic] First Words” Twenty years later my daughter renamed it “Boogafoo Music”, which stuck. PTSD is a monster. PTSD is a cage. PTSD distorts my self. It keeps me away from people I love. It keeps me from doing things that I love. Message from Hell #1: How Are You? Message from Hell ##: How Am I? My PTSD is sometimes a blunt instrument to my psyche, brutally knocking me down when pain hits my limit. Usually my PTSD subtly handicaps me, chains me in ways that I can’t fathom nor address, much less battle or finesse. Because I live in the midst of constant trauma, my trauma isn’t in the past–it’s in the past, present, and future. PTSD that develops “in response to prolonged, repeated experience of interpersonal trauma in a context in which the individual has little or no chance of escape” is called Complex PTSD (See Wikipedia article), sometimes called DESNOS or Disorders of Extreme Stress Not Otherwise Specified. The primary trigger my CPS agony is animated conversations with bright, creative people. The trauma is interpersonal because the pain is caused by conversing. The person I talk to doesn’t (usually) mean to traumatize me, but the reptilian complex of my brain classifies the trauma as an interpersonal attack. Buy Channel Zilch for only 0.99!!! Droog trying to read Channel Zilch. Chapter 14: Bugs! Bugs! Bugs! Bugs! She considers that and moves on. To the right of the evening star a brighter dot blooms and burns… out. I am honored that John Scalzi has published my article about Channel Zilch on his blog. Some books take longer to write than others.Channel Zilch took longer to write than most. But to be fair, author Doug Sharp has a very good reason for that. Here he is to explain. It only took me 21 years to finish Channel Zilch. Channel Zilch is the story of ex-astronaut Mick Oolfson and geek goddess Heloise (Hel) Chin. NASA canned Mick for stunt-flying a space shuttle; his one desire is to return to space. Hel is a testosterone-surfing evolutionary roboticist, cortical multitasker, and aspiring midwife to the technological Singularity. 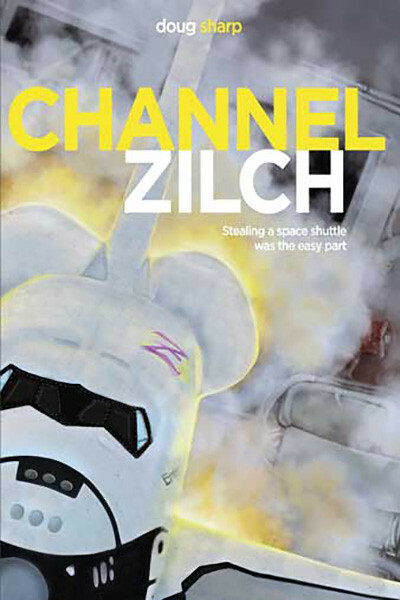 The first book in the Hel’s Bet series, Channel Zilch begins with the theft of a space shuttle. And that’s the easy part. In 1992 I needed a new computer game project. I was droolingly bored cranking out lucrative contract code. My game career was dead. I was determined to resurrect it. 2011-12-18 Pitcher plants in snow 036, originally uploaded by DougDroogSharp. Snow is thin on the ground. I hiked to the Tamarack Bog today to see if the Pitcher Plants were poking through. Here’s a Pitcher Plant with frozen water inside it. In 2 weeks the ice should be thick enough to hike on. Ice opens up lots of great hikes to beaver lodges and islands. 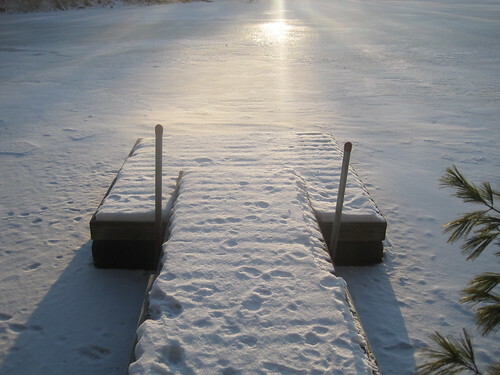 I always wait until ice fishing shacks are up on the big lakes before walking on my little lakes.